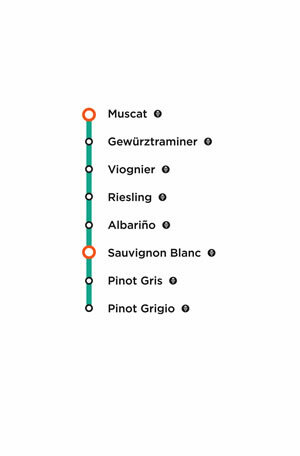 The Aromatic Line is a bit of a no-go line for some people, who are put off by the idea that wines like Riesling are sweet and sickly. In fact it’s a journey from South to North from very light wines through to heady and intoxicating. The wines further north have and this combo acts a bit like apples sauce or chutney, pairing up with pork belly, curries using coconut milk and cheese. These wines often surprise people by how much they like them.